Let’s face it, we’ve all had days when we’ve got up, glanced in the mirror, and promptly recoiled in disbelief at the spotty reflection staring back at us. There is no need to sweat it – by following these 6 simple tips, you can banish bad skin days for good, and in no time at all your skin will be beautifully radiant. Tip 1: Eat the right nutrients. Omega-3 and vitamin c are both crucial nutrients for healthy and radiant looking skin. Omega-3 aids in skin hydration, and is found in oily fish, or can be taken as a supplement. Radiant skin can be easily achieved by eating omega-3 and vitamin c.
Vitamin C is great for the skin, as it works as an antioxidant. This vitamin is crucial for supporting the repair and rejuvenation of the skin. Vitamin C can be found in most fruits, particularly oranges. Tip 2: Apply a serum. Whilst moisturisers are important, using a serum in conjunction with them will enhance hydration and protection of the skin’s outer layers. 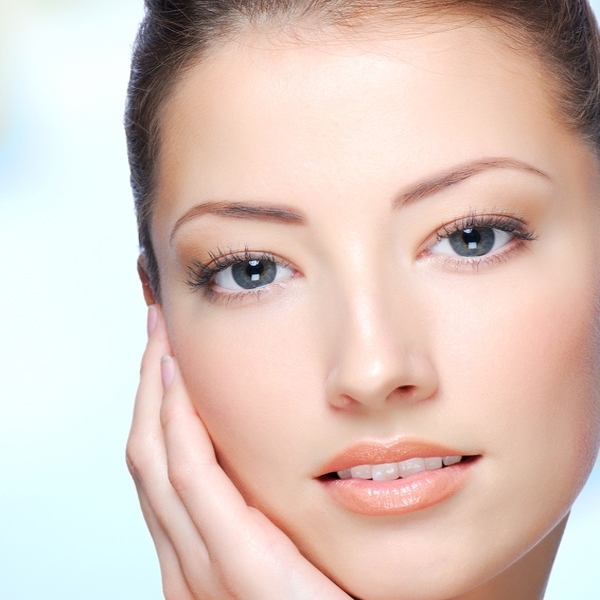 Serum is richer and thicker, and therefore has the ability to work deeper into the skin. Many people overlook the beauty and health benefits that water has to offer. The majority of our bodies are consisted of water. The recommended daily amount of water to drink is approximately 8 glasses. Drinking tea and caffeine dehydrates the skin. If we do not replenish our supplies, the skin will quickly appear dry and dull. Tip 4: Always remove make-up before bed. No matter how late your night, never leave your make-up on overnight. Night time is the skin’s opportunity to repair and rest. If your skin is still lathered in make-up, your skin cannot rejuvenate. Instead your pores will become clogged, your skin will become dry and flaky, or you could develop spots. Spot-prone skin is exacerbated by not cleansing. Try a tea-tree astringent, as this is fantastic for nipping spots in the bud. Rosewater is not only a good cleanser, but it will help support the pH balance of the skin. Your skin will be glowing and radiant in no time. If your skin is dry, oily, or prone to breakouts, try using a tinted moisturiser instead of a powder or heavy liquid foundation. Your pores will benefit by using a light tinted moisturiser, and you will be amazed at the results!